Location! Location! Location! 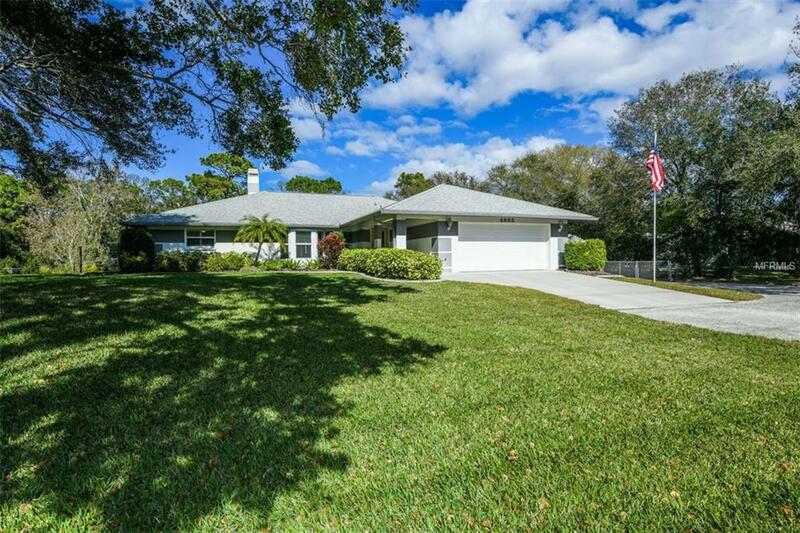 Walk to Ashton elementary and Sarasota Middle School from this recently upgraded 3 bed/2bath home with attached garage on a fenced 1 acre lot that also features a 25x30 outbuilding with two 12 foot doors plus a 20x24 covered carport. This home is in move-in condition so enjoy the great room design with vaulted ceilings, fireplace, granite countertops, separate MBR shower with soaking tub, 2 walk-in MBR closets, built-in office cabinets and much more. The home is on city water has an irrigation system on a well. The upgrades include all the current hurricane mitigation requirements. Easy access to I-75, shopping, dining and beaches. NO DEED RESTRICTIONS.